Abbi Falls is a tourist attraction located a short drive north of Madikeri. Expect to walk through coffee plantations on your way to the falls. 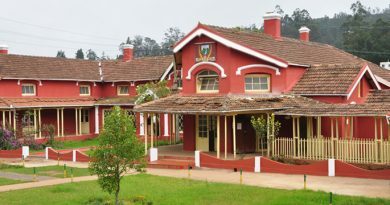 Located east of Madikeri, this town is home to Tibetan camps and traditional houses and the Namdroling monastery. Located south of Madikeri and near the Thadiyandamol trek route, these falls drop from a height of 150 ft. There’s also the opportunity to rappel across the falls – to view them from a very different perspective. 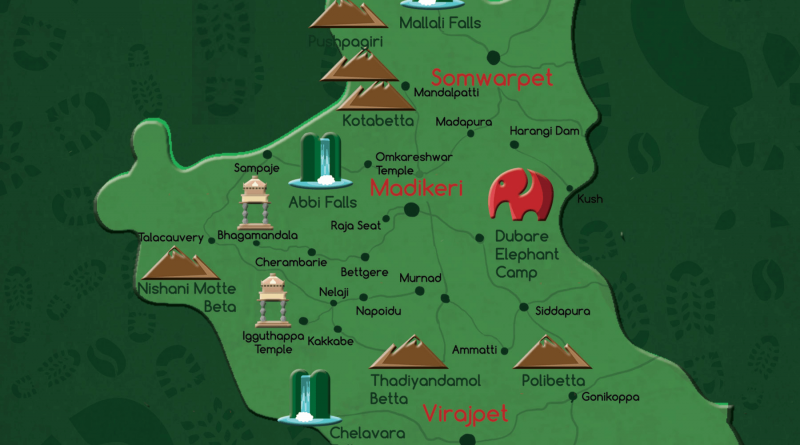 The elephant camp is a Govt of Karnataka entity offering the opportunity to learn about elephants up close – naturalists talk about elephants and their history, ecology and biology. This dam and reservoir is a popular picnic spot – and was the first dam to be built over the Kaveri river. This is a local tourist attraction – and has mythological significance too. A tributary of the Cauvery river that starts from these falls is said to have been formed when Rama and Lakshmana were passing by, and Lakshmana shot an arrow into the hills in this region. What to do: Sight-seeing, Photography, Trekking. Associated with the Kumaradhara river, these falls are located in the North Kodagu. The Pushpagiri Peak, a popular trek spot, is located in the vicinity. Located within the Nilgiri subcluster of the Western Ghats, this Reserve is home to tigers, bison and elephants. 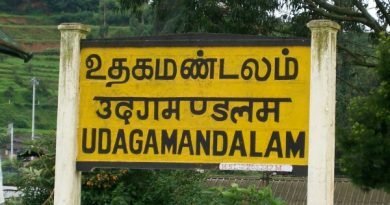 The Western Ghats is considered one of among ten biodiversity hotspots in the world and in 2012, UNESCO granted 39 properties within the Ghats ranging from Maharashtra to Kerala protected World Heritage Site status. The Talakaveri Wildlife Sanctuary is one of these protected properties and elephants, tigers, leopards and sloth bears among many other animals are part of the local flora and fauna. 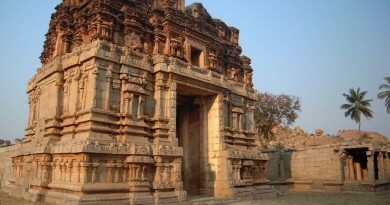 The Tala Kaveri, the origin of the River Kaveri is also located within this sanctuary’s boundaries and is a popular tourist attraction in itself. 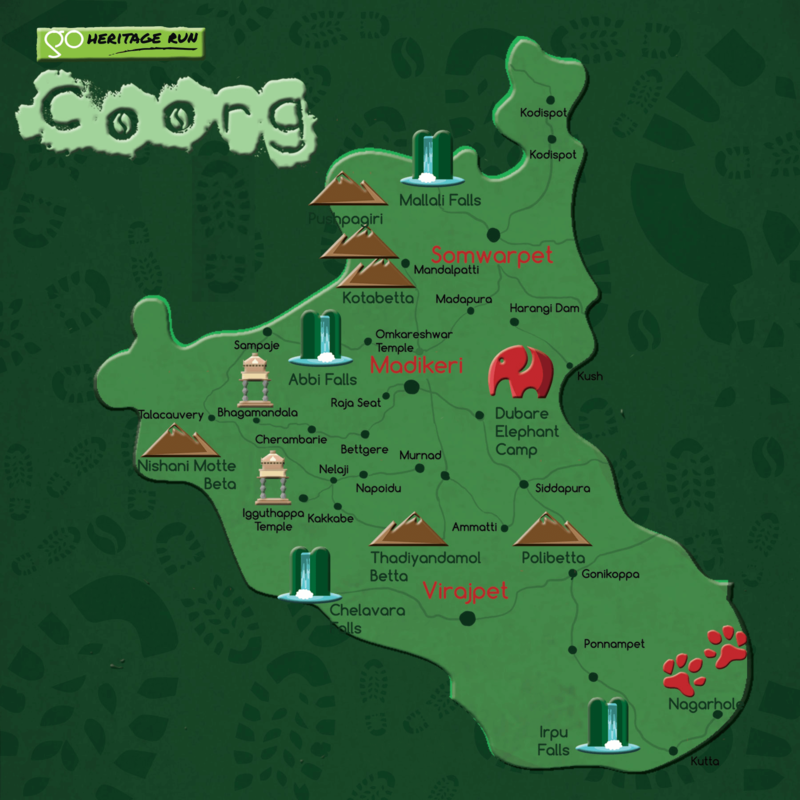 This is the highest peak in the Kodagu district and has an easy-to-complete trek through forests and trail paths. Expect to see a 200-year old Nalkad Palace near the base. Have a few extra days before or after your run in Madikeri? Consider staying at the Save Animals Initiative Sanctuary which is “a place for those who want the rare chance to be close to nature and marvel at her grandeur”. Started over 25 years ago by a couple intent on reclaiming agricultural wasteland and reforesting it, the sanctuary now covers 300 acres.